First things first, unsurprisingly Trainwreck is a really fun movie. Given that Amy Schumer, one of the funniest people alive, was not only the main character but also wrote the film essentially made the movie’s hilarity a lock. However, Schumer was not the funniest character in the movie. Nor was a ridiculously good Bill Hader. No, it wasn’t a super surprising John Cena either. 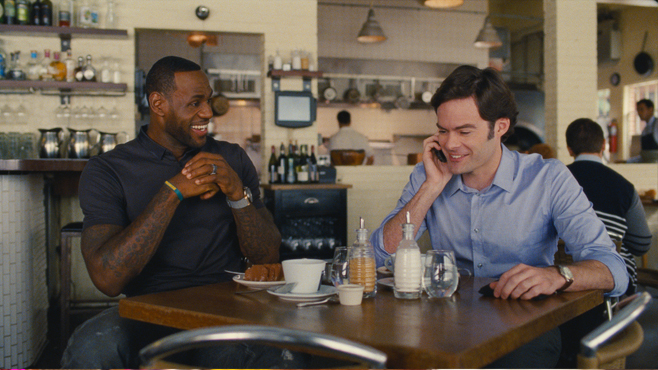 The highlight of Trainwreck was LeBron James. I’m dead serious, he is amazing in this movie. I’m barely grading on a curve given the fact he is moonlighting as an actor when he’s not busy being the best NBA player alive. LeBron decided to completely throw himself into the fictionalized version of himself. He is over the top while also being weirdly normal. It’s almost disconcerting. But it all works. Seriously, he lands at least five of the movie’s biggest laughs. Not bad for a guy who is third billed behind two huge talents. You really should go to see this move based on quality alone. However, if you want to go see Trainwreck to jump aboard the LeBron-for-Best-Supporting-Actor train, I’ll be saving you a seat. Cannot wait to see the movie!